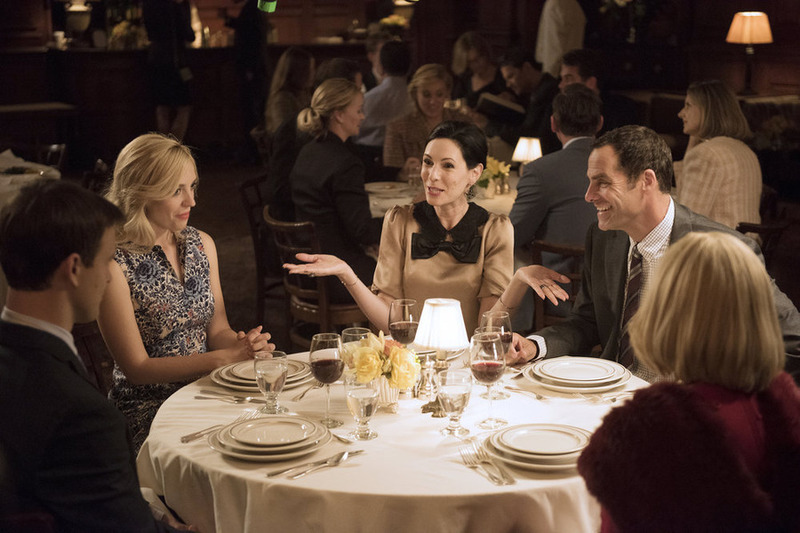 Odd Mom Out Review - Bravo's Rich-Hating Comedy Hopes To Wow - Are You Screening? 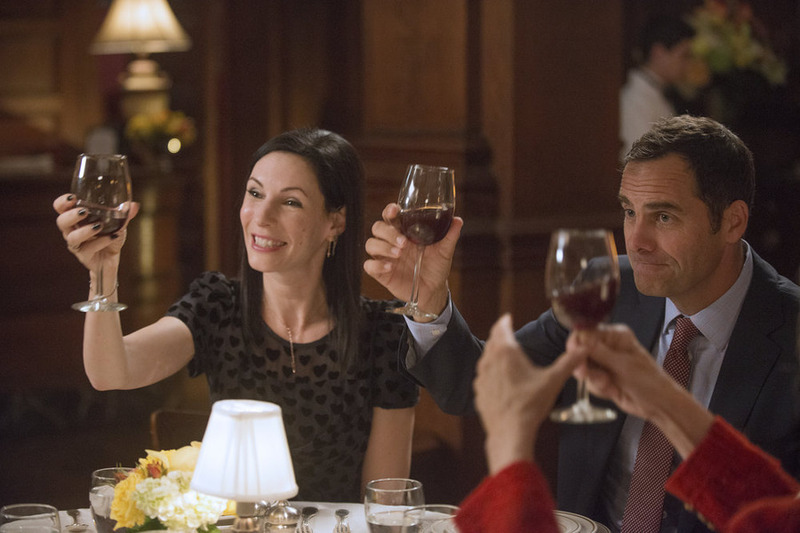 There’s no shortage of material when you’re staring in disbelief at the ridiculously rich, or making fun of them, but Odd Mom Out (built around Jill Kargman’s novels) has a strange feeling of over-familiarity. Kargman stars as the “normal” forced into the world of New York’s super-elite, and while her daily routine is very similar to that of your average person tuning in (perhaps minus the walking around in her underwear all the time), she finds herself having to rub elbows with people she would rather have nothing to do with an awful lot of the time. Said forced contact comes by way of school, and the mommy insanity that goes along with a Kindergarten by and for the hopelessly vapid. Although, new entrants in the fabulous world of intolerable people are Jill’s brother-in-law, and his wife, now that they’ve sold their bagel franchise for about $700 million. That information dulls the shine on the fact that Jill’s husband, Andy (Andy Buckley), has made partner at his law office, as does the fact that there’s a massive buy-in to partnership. Thus, the show leads us through the world we continually cannot believe really exists, but in the special sense of knowing that it does, with Jill and best-friend Vanessa (KK Glick) providing the running commentary. Jill serves as the stand-in for all the Real Housewives hate-watchers who wonder what it would be like to get sucked into the television, but we’ve seen it all before, and the show is both too safe, and not safe enough. We’ve already laughed at the general idea of the shrew who runs an elite Kindergarten looking down her nose at the parents who don’t show up with a kid who already has three years of riding lessons. The situation alone doesn’t have that much pull anymore. While the show has notes that better explore the basic premise, such as when the snob moms start acting like they’re ten at the prospect of being noticed by said headmistress, it’s largely routine in its development and comedy. It’s possible that the show, scheduled for ten episodes, picks up drastically after the pilot’s establishment phase, but it’s a tricky bet to make. For all that Jill and Vanessa grab a moment to vent at the world at large, and the rich people taking over their neighborhood, the show wants its bite from merely showing rich people being ridiculous, and we’re lousy with that already. Still, there’s something to this show, and Kargman is someone you find yourself wanting to hang out with, even if only for her defiantly having non-blonde hair in a world that keeps staring at it. It makes you want to like it, which is saying something these days, but it doesn’t seem to have the daring of its own lead, which makes for an odd experience watching her swim through it. “Odd Mom Out” is Bravo’s new original 10-episode scripted half-hour comedy. The series stars acclaimed author Jill Kargman playing a version of herself as she navigates the treacherous and elite ecosystem of New York’s Upper East Side, and the uber-wealthy mommy clique inhabiting this fantastically outrageous domain. A New Yorker through and through, Jill Weber (Kargman) embraces her quirky and somewhat unconventional life with her loving husband, Andy Weber (Andy Buckley, “The Office”), three great kids, and a best friend who shares the same love for donuts and snarky retorts, Vanessa Wrigley (KK Glick, “College Humor”). However, the posh and decadent world of Andy’s classically blue-blooded family slowly takes over as Jill valiantly tries to resist all the delicious temptations and perks their wealth can afford. From accepting her in-laws’ aristocratic, and perhaps cloudy, legacy to interviewing for a family burial plot at the most prestigious cemetery, Jill constantly battles staying true to herself while weighing the benefits of fitting in. Jill’s frenemies and in-laws only fuel the pressure for her to conform, including the status-obsessed Weber family matriarch, Candace (Joanna Cassidy, “Six Feet Under”), brother-in-law Lex (Sean Kleier, “Madam Secretary”) and his wife, Brooke (Abby Elliott, “Saturday Night Live”), who reigns over a group of quintessential Upper East Side momzillas with an iron credit card.